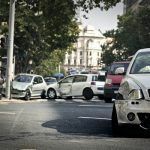 In the US, the rate of traffic accidents among those with epilepsy is about 50 percent higher than the average person; however, the rate is still lower than the traffic accident rate of teen males. Because not driving would put undue stress on epileptics, all 50 states allow epileptics to drive as long as their last seizure was within a certain period of time, usually six months to a year. Because of some serious crashes that have occurred during a seizure, most people feel that those with uncontrolled seizures should not be able to drive. Years ago, there was a ban for life on any person who had a single seizure. Then the ban was lifted for those who hadn’t had a seizure for five years. Finally the time span between a seizure and driving has shrunk to three months in some jurisdictions. The Epilepsy Society and the American Academy of Neurology has promoted the three month rule. These groups indicated that three months separated those who had frequent seizures and those who had infrequent seizures. State agencies, however, make the final decision as to how long between the last seizure and the ability to drive. People who always have auras before their seizure are usually allowed to drive because they have time to pull over before they seize. People who have minor seizures may be allowed to drive without the restriction. People who seize from a reason that isn’t likely to happen again are except from the restriction. People who only seize in their sleep are usually exempt from the restriction. How does the Department of Motor Vehicles know that they are dealing with a person who has had a seizure? In some cases, the epileptic must notify the DMV. In other cases, the police, family members or public safety notifies the DMV. In certain situations, the doctor is required to notify the DMV if a patient has had a seizure. Sometimes, a person drives more than other people or drives a vehicle that is more dangerous. These include over the road truckers, school bus drivers and heavy trucks. If you have an interstate commercial driving license, you need ten years without seizures and you cannot be on an anti-seizure medication. Cab drivers and limousine drivers must be seizure free for longer than regular drivers. Some epilepsy patients know instinctively when it is not safe to drive and choose not to do it even when it is legal. If they miss medications, for example, they choose not to drive or when they have missed too much sleep. If they drink too much alcohol or are under extreme distress, their seizure threshold is lower and they choose not to drive. Driving restrictions are important for patients with seizures in order to ensure the safety of the general public but too many restrictions are harmful to the welfare of the patient with seizures. Fortunately all 50 states allow a person with epilepsy to drive, provided they are restricted when they have seizures. While doctors are only required to inform the DMV in 6 states, it is good medical practice to inform the DMV whenever a patient of theirs has a seizure so that they can become stabilized before being able to drive again.